On August 19, 1942 the Canadians executed their assault on the town of Dieppe, France. 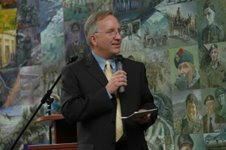 Every Thursday, Ray Gilbert comes to The Military Museums to sit at the desk of The King’s Own Calgary Regimental Gallery. To most visitors he looks like any other veteran with his dress jacket, medals and gray hair. Yet behind the sparkling blue eyes of this 87 year old man is an extraordinary story. Around 2:00 pm on August 19, 1942 the last of the Canadians had either gotten off the beach or been taken prisoner. Ray became a prisoner of war that day. He and his fellow comrades were marched to Stalag 8 where unknown to him at the time he would spend nearly two years. Ray has told me that when he was captured a German soldier started yelling at him. Ray couldn’t understand what the soldier wanted until finally Ray realized the German soldier was concerned about the hand gun strapped to Ray’s waist. Ray threw the gun down and was forced to march with his hands above his head. When Ray got to the camp, his hands were tied with a rope, which was exchanged with handcuffs shortly after, but not before the ropes had rubbed his skin raw, calloused and bleeding. With their hands tied, the soldiers were unable to perform simple daily functions and soon many had dysentery. Unable to undue their own pants, they would help each other. A typical day consisted of three potatoes for breakfast, turnip or cabbage soup for lunch, one piece of black bread for dinner and the occasional mint tea. The men were starving. Fortunately, every so often Red Cross packages containing powdered milk, sardines and crackers would arrive. Ray told me that whenever they got the parcels they had to share the contents with another prisoner. At Christmas time the Red Cross would send even more parcels and in these they put the usual supply of food but also white handkerchiefs and pencil crayons. If you stop by The Military Museums, and walk through The King’s Own Calgary Regimental (KOCR) gallery, you’ll find two examples of art work some young men did with their Christmas handkerchiefs and pencil crayons. Monday, rain or shine, Elly comes to the museum. He sits quietly most of the time at the desk in front of the KOCR gallery. If you see him sitting there, ask him if he has any photos. Without a doubt, Elly will pull out a pocket sized book filled with images depicting his life during the Second World War. One day, Elly pulled out his pocket sized book, pointed to a picture and told me, “Laura, out of 110 of us, only 20 came back from Dieppe. I was one of them.” Flipping the pages, he got to a photo of a handsome, young lad (Elly, of course) and a lovely lady, his wife. “We had only been married for one month before I was sent to Dieppe. The day after the battle she went to the train station to find me. I wasn’t there. So, she came back the next day. I still didn’t show up. On the third day after the Battle of Dieppe she went to the station again, but this time she asked someone where all the soldiers were who fought in Dieppe. A man told her that if I hadn’t shown up yet I was probably dead or a prisoner of war.” It’s hard to imagine how to react when you’re told such a thing about your loved one. “So, she went home. On the fourth day after the battle, I arrived at the train station. You can imagine what a startle I gave her when I walked through the front door of our house!” Elly said as he closed his pocket sized photo book with a great smile and warm laugh. These are the men of Dieppe. The men I have been fortunate enough to meet and see every week and hear a little more of their story and share in their life today. Every week they are at the museum sitting patiently, willing and glad to share their stories. So what are you waiting for? Personal communication with veterans of Dieppe, Ray Gilbert and Elly Raskin at The Military Museums. Posted in Dieppe and Military History and The Military Museums and Uncategorized. 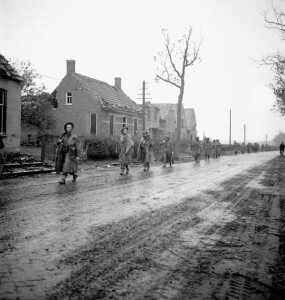 Calgary Highlanders in the Netherlands, October 1944, during the battle to clear the German's out of the Scheldt Estuary and open the ports at Antwerp to Allied shipping. Photograph by Canadian CFPU photographer Ken Bell. 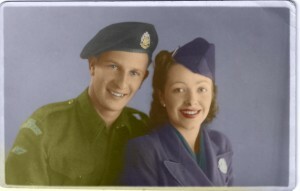 The photos in the sliding menu bar above were collected from a few different places around the web, but primarily from the Canadian War Museum website and Library and Archives Canada. These photos are technically in the “public domain,” since copyrights generally expire after 50 years. 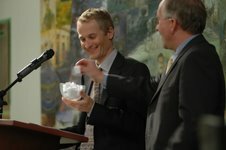 Library and Archives Canada hosts a wealth of interesting information and digitized documents, and is well worth a visit. The images from the Scheldt Estuary, Normandy, Passchendaele and Dieppe came from their collections. Their “Faces of War” virtual exhibition is particularly good. It contains several photographs from Canada’s official war photographers taken during the Second World War, including Ken Bell‘s shot (inset). Incidentally, we recently saw an interesting documentary on the the Canadian Army Film and Photo Unit (The CFPU was established in September 1941), called Shooters . According to the film, Canadian cameramen like BellÂ captured a number of scoops during the war, including the first iconic footage of Allied soldiers going ashore on D-Day (Canadian soldiers, no less) shot by Sgt. 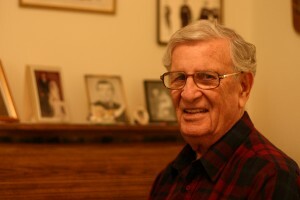 Bill Grant of the CFPU. Shooters may be difficult to find, but the Military Museums in Calgary could possibly screen it for you, or you can order it directly from O’Regan’s website. The other images above came from the Canadian War Museum’s First World War Teacher Resources. 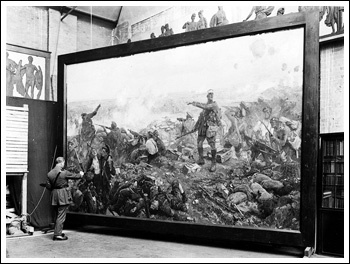 The two pieces of war art depicted are The Battle of YpresÂ by British artist Richard Jack, and Australian artist William Longstaff’s 1931 Ghosts of Vimy Ridge . Longstaff painted another famous painting, at least Down Under, depicting a similar scene of spirits flooding toward the Menin Gate. We will be visiting both of these memorials on our trip. Posted in Battlefields and Dieppe and Juno Beach and Juno Beach and the Normandy Invasion and Menin Gate and Military History and The Military Museums and The Scheldt Estuary and the Liberation of Holland and The Ypres Salient and Vimy Ridge.